Hurry, this move-in ready Express home has a southern exposure and water view! 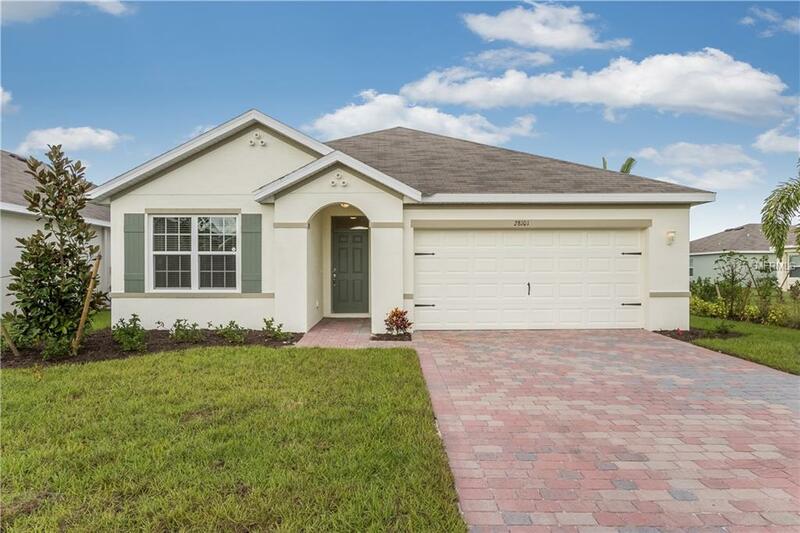 Become a new homeowner in the beautiful gated community of Calusa Creek, located in historic Punta Gorda in Charlotte County. The Aria floor plan features 1,672 square feet of living space with 3 bedrooms, 2 full baths and a 2 car garage. Home is nicely decorated with wood cabinets in the kitchen and bathrooms with 18" tile floors in all the common areas. Calusa Creek features very low HOA fees. Don't forget to ask about our closing incentives. Call today!